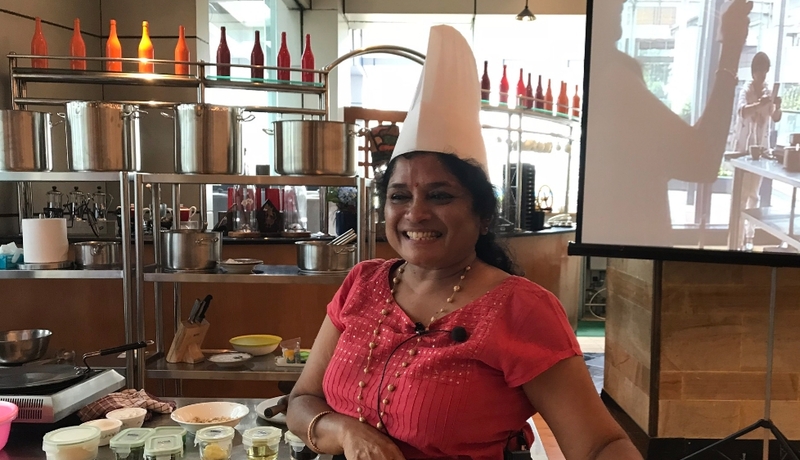 Shanthi Shesadari shares her recipe for the perfect sambar along with tips and trick to cook it to perfection to try at home. 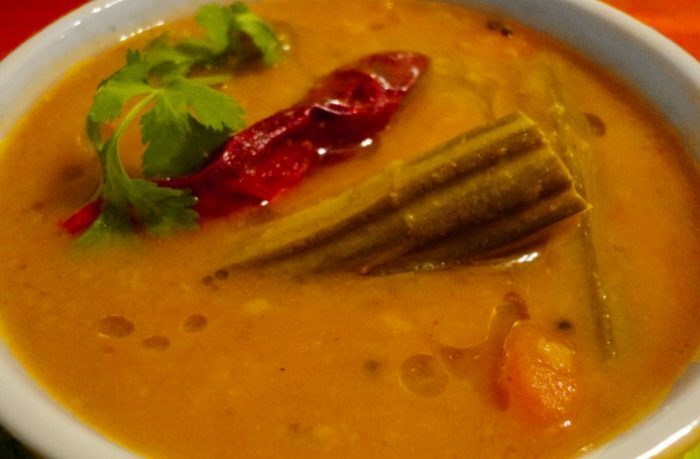 Sambar is a lentil based vegetable stew which is very simple and easy to make. It is one of South India’s staple dish but loved all over India. It is delicious as well as nutritious due to lots of spices and vegetables which is one of its biggest selling point. It is usually eaten with Dosa, Idli, Utappam and Medu Vada. It also tastes great with plain white rice. Try it at home today and do share your feedback and comments below. This will definitely become one of your favorite dish. Rinse the dal and add 1 spoon of turmeric powder on it. Pressure cook with 2 cups of water until it forms a smooth paste. Roast the listed ingredient above with 1 tbsp of oil until the color turns to be golden brown. Switch off the stove and add grated coconut inside. Let it cool down. After roasting, grind the ingredient into a fine paste. Cleanse the vegetables and chop them off for cooking. Heat 1 tbsp of oil in the pan. Fry the vegetables onto the pan around five minutes. Pour the soaked tamarind water into the pan and cook along with the vegetables. Add salt and asafoetida. Add water and wait the vegetables in a few more times to cook. Place the cooked Toor Dal (smash it into a fine paste-like consistency) to the pan and cook for another 5 minutes. Put the listed ingredient for tempering with 1 tbsp of oil in a small pan. Add to the sambar and the dish is ready to eat with Medu Vada or just plain white rice.